There is no shortage of family-hauling SUVs and crossovers to choose from these days, which means competition is fierce and if you want to play with the big boys, you need to bring your A game. 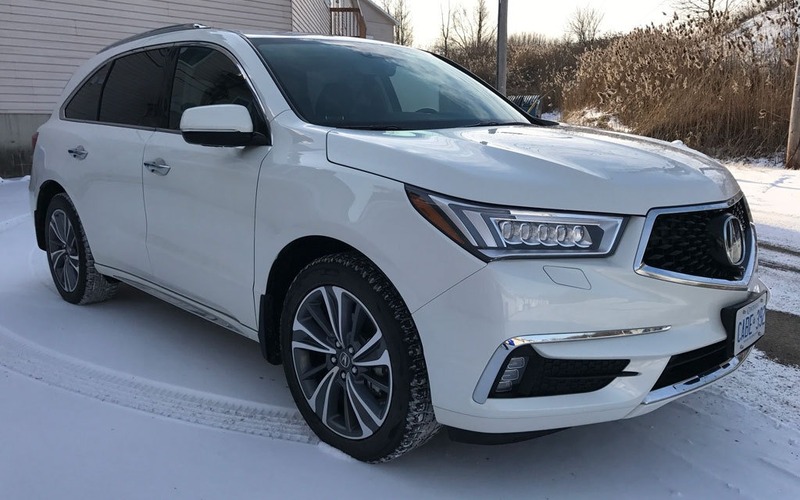 Acura has done just that and the MDX has just been freshened up for the 2017 model year with a host of improvements to an already solid offering. Most noticeably, the front grille has a new diamond pentagon design, ditching the much maligned, odd-looking contraption that previously existed in this space. The hood, front fenders, side sills, rear fascia and dual rear exhaust tips have all been restyled for what Acura calls an “executive athletic” appearance. New front LED Jewel Eye headlights with LED front turn signals, taillights, outside mirror-mounted puddle lights and, on certain models, new LED fog lights are a very nice touch. However, they left out LED rear turn signals in favour of puny incandescent bulbs, much to my disappointment. The headlights really are beautiful and you must see them in person to appreciate their beauty. Fit and finish is one of Acura’s strong suits and the MDX’s cabin is a very pleasant, very high-quality place. The tester came in Elite trim which includes contrast stitching on the leather seating surfaces for a decidedly high-end appeal. There is a lot of brushed aluminum trim which I rather liked, but it may not be for everyone. The centre console opens up for a deep storage area and there is plenty of additional space as a result of Acura’s ditching of a gearshift lever in favour of simple buttons. I prefer to sacrifice some space for a physical gear shifter, because the buttons don’t lend themselves to quick operation and sometimes had to be pressed more than once to ensure the vehicle was in the correct gear. Now I suppose I could attribute that to my driving style and after a while I did get used to the buttons, but I still think they are a bad idea for gear shifting. Also included in the Elite trim is the wonderful Ultrawide Rear Entertainment System with 16.2-inch display and HDMI input jack. I just love the fact that there is a single roof-mounted screen versus dual screens mounted on the rear of the front seats. It allows all the rear occupants to enjoy the movie, even the ones sitting in the third row. Acura has also cleverly designed the screen so that it doesn’t obstruct the driver’s vision in the rearview mirror. I tested out this system heavily with my brood of toddlers and one flaw became immediately apparent: a DVD cannot be started from the front seat. I know it seems like an insane thing to say, but after 30 minutes of trying to figure out how, I gave up. You can insert a disc and it will start playing previews, but in order to navigate the disc menu and press start, you must do it from the controls in the rear. That means my seven-year old had to figure it out or I would have to get out of the car. I chalk this up to overly safety-conscious engineers who are terrified of a front-seat occupant fiddling with a movie while driving. Acura’s overall infotainment system is unfortunately not a strong point. In fact, I would go so far as to say it’s a major downside that one has to get past when purchasing the vehicle. Menu navigation is confusing, slow to react to the touch and just not user friendly. The saving grace is that there is a volume knob unlike the MDX’s sibling, the Honda Pilot, which has touch-sensitive volume control. Comfort and ease of access are very much the MDX’s strong suit. Toddlers and small adults can hop in and out of the third-row seat with ease and the seat operation (like the Pilot) is the best I’ve seen. 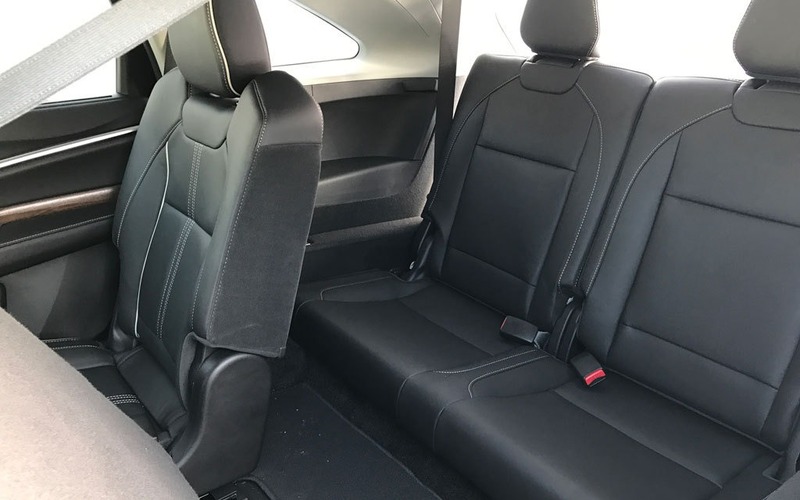 You can opt for a six-passenger configuration in the MDX, with a pair of captain’s chairs in the middle row instead of a bench. The middle seat is traded for a functional console. The Pilot and MDX are vehicles whose comfort and features rival minivan levels of greatness. It’s important because there are lots of people who balk at purchasing uncool minivans and would rather be driving an SUV. The MDX and Pilot are made for these people. Driving the Acura MDX is similarly very satisfying and quiet. There is a solid feel from the steering input that inspires confidence and sturdiness. A four-wheel independent suspension combined with technology such as adaptive electric power steering, handling assist and vehicle stability assist help accomplish a firm and steady ride. Power comes from a 3.5-litre V6 engine rated at 290 horsepower and 267 lb.-ft. peak of torque, so the MDX is no slouch. Acura's acclaimed Super Handling All-Wheel Drive system is standard, as is a sequential nine-speed automatic transmission with wheel-mounted shift paddles. A base MDX will cost $53,690 while the Elite trim will run you $65,790. What’s nice is that there aren’t any pricey packages you need to add. By choosing one of the base, Navi, Tech, or Elite trims, you are also choosing all of the options. 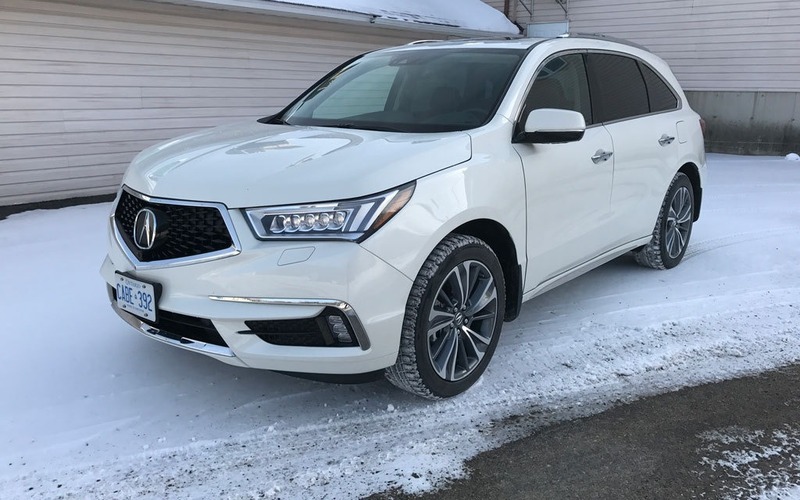 I enjoyed my time with the 2017 Acura MDX. With Honda reliability, a comfortable and highly functional interior and catchy looks, this is a hard to beat package in the midsize luxury SUV segment.